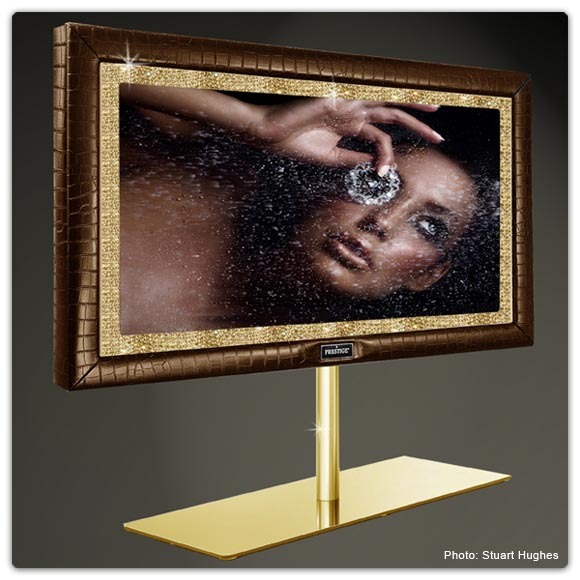 Got a hankering for a Gold plated and diamond encrusted I-Phone, I-Pad, Platinum Macbook, Wii, Playstation 3, or Alligator skin, diamond encrusted, gold flat screen T.V? Then check out the extravagant works of Stuart Hughes. 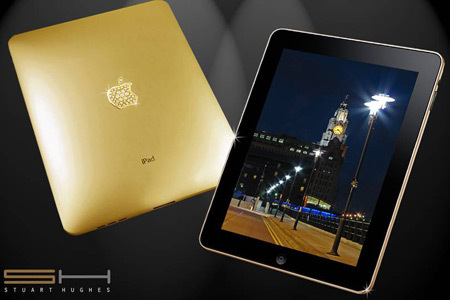 Stuart Hughes is a creator of high end luxury products from Liverpool England. If you’ve got some dough burning a hole in your pocket, check out all Stuart Hughes has to offer at the link above. Attached below is a short video from the site about the 2 million pound I-Phone.